A native of Montgomery, Alabama, Morgan Berney Black began her career in marketing and communications at the Montgomery Area Chamber of Commerce, where she spent six years. During her time in Montgomery, Morgan was among the first few classes to complete the Torchbearers leadership program for young professionals managed by Leadership Montgomery. She was an early board member of EMERGE Montgomery, a young professional networking group, and was active in many other boards including the Montgomery chapter of the Public Relations Council of Alabama, the Montgomery Museum of Fine Arts Junior Executive Board and the Alabama Shakespeare Festival ArmChair Auction committee. Morgan then spent nearly two years as the Associate Director of Marketing and Communications at St. Paul’s Episcopal School where she worked closely with admissions, development, alumni, and administrative staff and faculty to advance the mission of the independent school. 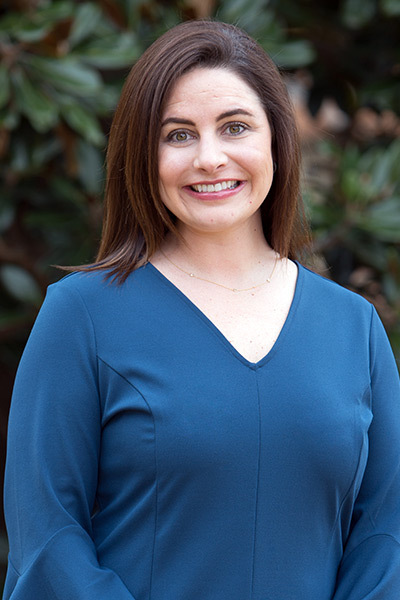 Prior to coming to Samford University, Morgan most recently served as the Director of Marketing and Public Relations at Vulcan Park and Museum for three years. There she was responsible for website and social media management, media relations, electronic and print publications, advertising, brand management, event planning and execution and crisis communication. Morgan is a member of the Alabama chapter of Public Relations Society of America where she serves on the 2018 Board of Directors. Morgan and her husband, Robert, live in Bluff Park and are members of Mountain Brook Community Church.